SoapHub brings you a daily dose of The Beautiful and The Beautiful spoilers (BB), recaps, polls, games, news, rumors and videos about your favorite soap. You’ll also find information on cast and crew biographies so stop by the website and happy reading! Past As Present: Should Eric And Donna To Reunite On The Bold And The Beautiful? The Bold and the Beautiful Recap: Liam Worried His Marriage Is On The Rocks! 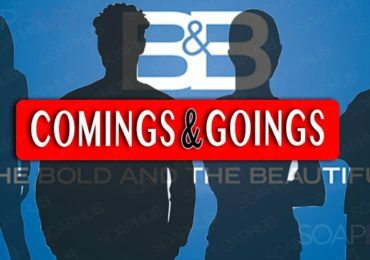 The Bold and the Beautiful Spoilers: Love, Lies, and Frenemies on the Rise! The Bold and the Beautiful Spoilers: The Battle For Hope’s Heart Begins! An End To The Baby Swap Story On The Bold And The Beautiful? The Bold and the Beautiful Recap: A Shocking Confession And A Mind Blowing Twist! The Bold and the Beautiful Spoilers: Thomas Toys With Hope’s Emotions!